Guards at German asylum homes are often poorly qualified because of huge demand and lack of oversight by government agencies, with many coming from poor migrant backgrounds and barely able to speak German. 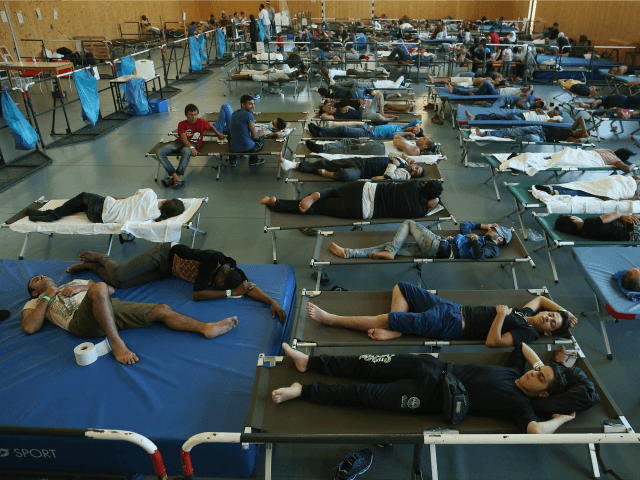 An undercover report from Germany’s Die Welt reveals a new side of the migrant crisis. Posing as a failed restaurant worker seeking employment, reporter Anette Dowideit went about to see how hard it was to get a job as a guard at an asylum centre, and to investigate why so many guards have been implicated in acts of violence toward migrants in the past. The journalist was amazed when first meeting with the head of the private security service, that he knew very little when asked probing questions and seemed more interested in getting the requisite information to hire her. Though he was concerned about how her being a woman might cause problems with the migrants, he waved her on to training anyway. The asylum centre guards are often forced to endure long hours and unpredictable schedules by their employers. They are also very rarely well paid, with the average wage at around €9.70 an hour. Frustrations with schedules and long hours have become an excuse for many guards to lash out at migrants, according a security consultant for company VZM called Stephan Leukert. At the training for the security job the reporter made another discovery. Most of the people taking the course with her were themselves from migrant backgrounds, and some could barely speak German. The training course covers several subjects, from when it’s appropriate to detain a violent or potentially violent migrant, to how to protect themselves while working. There is no mention of training to make sure that guards do not harass or bully religious minorities, as some Muslim guards have with Christian converts in at least one asylum home. In fact this training is said to be totally optional and unless there is a specific law forcing the company to teach it, they often do not bother. Local governments are also lax when it comes to checking the credentials of security companies and their employees. It was not until a hand grenade was found in the possession of a guard in Villingen-Schwenningen that authorities examined the credentials of the company and found they had none at all. A famous case in 2014 involving asylum centre guards abusing migrants found international condemnation and was compared to abuses in Iraq at Abu-Ghraib. Though the security firm in that case was dismantled, many of the employees ended up working for its successor and an insider told media that many of the employees still lack any kind of formal education or security qualifications as of 2015.